YOU may have the best and most supportive family and friends in the world, but everyone needs an extra helping hand sometimes. 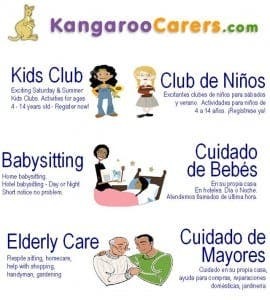 Luckily, Kangaroo Carers, a professional company on the Costa del Sol, has an experienced team on standby to meet your every need. 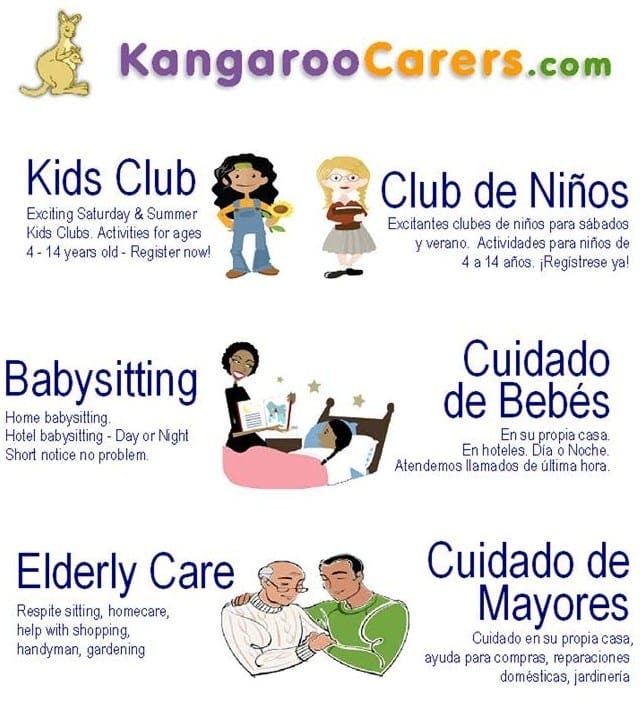 The Kangaroo team offers a wide range of helpful services. They provide babysitting services at homes as well as in hotels, and childcare at corporate events, and can even take the stress out of the big day for couples tying the knot by organising wedding crèches. The qualified staff also provide homecare for the elderly, covering everything from household chores and shopping, to accompanying people on trips to the doctor or just out for a coffee. Sometimes they simply provide much-valued company and the kind of help that allows full-time carers to take a break. Kangaroo carers pride themselves on going the extra mile. Babysitters always arrive early in order to get to prepare for the evening and check on any special requirements, and have been known to offer to take on a bit of ironing or cleaning while they are there. So it’s no surprise that carers often become trusted and reliable extensions of the family. Trust and reliability is key, of course – all staff have been professionally trained and police-checked, and the management team holds qualifications in the health and social care sector, primarily in social work, youth work and elderly services. The founder of the company has regular meetings and inspections through the Care Quality Commission. There is growing demand for Kangaroo Carers’ services, and the company is always on the lookout for more exceptional, kind, reliable individuals to join the team. Anyone with time to spare who enjoys working with both the young and elderly should get in touch.